Welcome to the Festival of Creative Learning, a week rich in discovery and crawling out of comfort zones, where students leave their degree title under an unkept pile of assignments to learn something new, from skeletons and climate change to sewing. 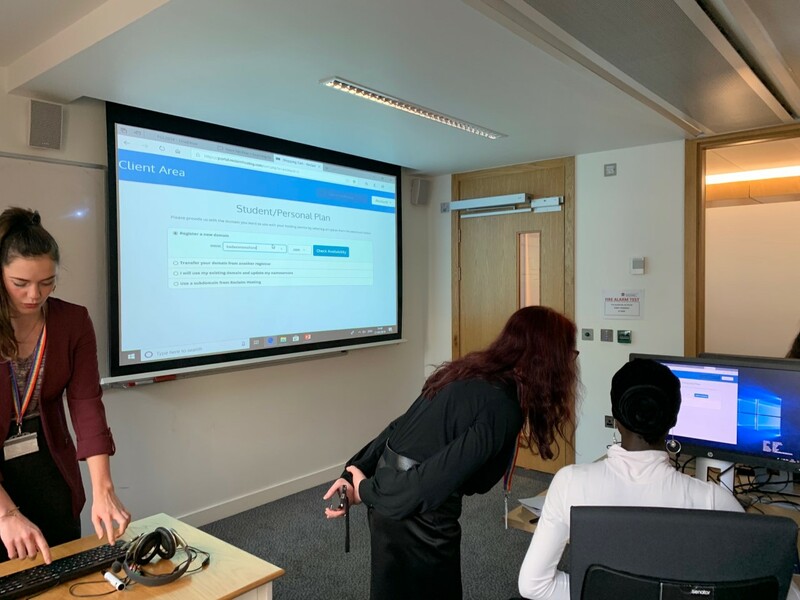 This year, I was neither an attendee nor one of the deserting students who fled to the Alps: I helped organise and spoke at the ‘Get Blogging!’ event – which you might guess, was all about WordPress. How ironic is it, really, that I am writing a blog post about an event tailored to writing blog posts? 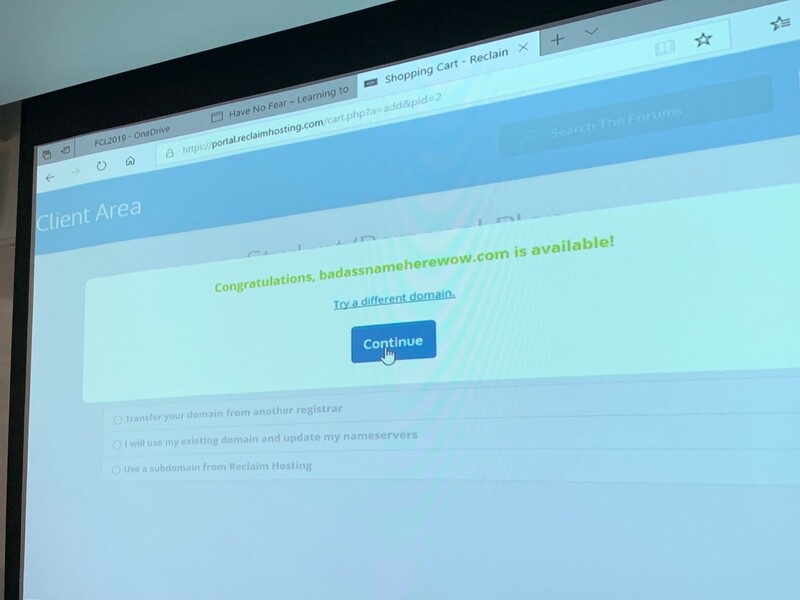 Our afternoon session gave the opportunity for students to purchase their very own patch of land in the wonderful world of the internet: a domain. We then helped them build their WordPress house and decorate it accordingly. Which plugins would you add to make your house more efficient? Which themes would you use to give your rooms more Feng Shui? What tone of writing would you employ to grace the walls with your favourite type of music? 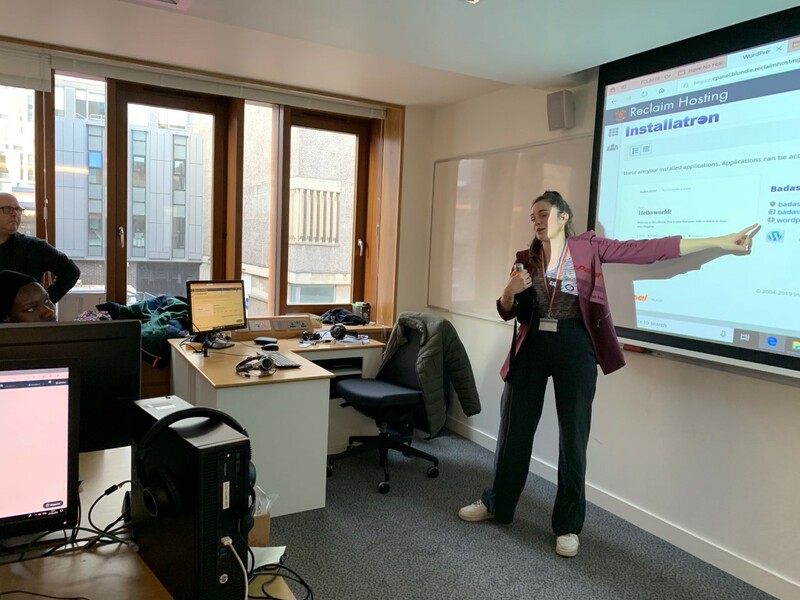 Building metaphors excluded, we explained to the students what it takes to have your own domain, what you can do with it as well as what responsibilities come with publishing content that needs to be authentic and has a tendency to follow you around forever. Trading my title as student for the one of staff and speaker during this week of creative learning was particularly exciting and highlighted other dimensions of this initiative that are valuable. Of course, helping students dip their toes into something new is a fantastic feeling, but working alongside peers in order to do so reminded me of the power of collaboration. 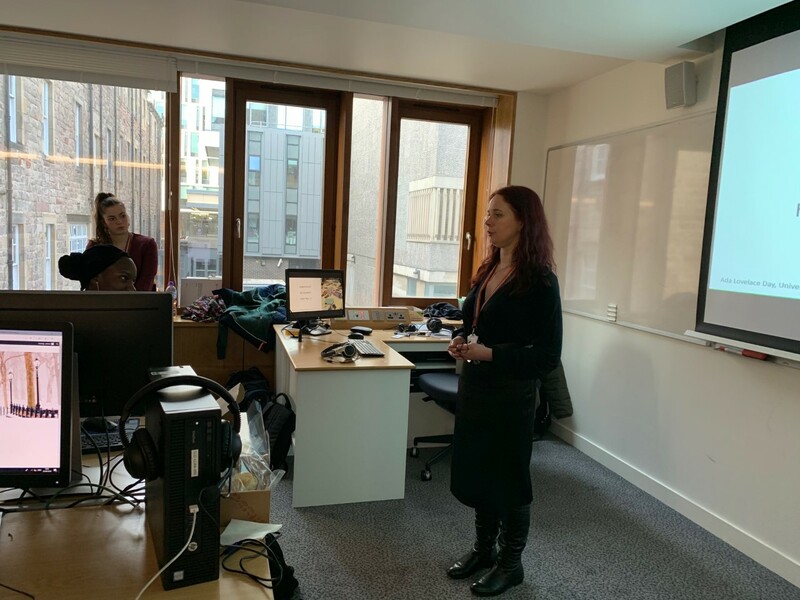 Our event, unlike this year’s Oscars, had its very own host: Karen Howie – she presented our session as well as outlining a bloggers’ responsibilities. Lorna Campbell then gave an extensive list of all reasons and ways one can find their blogging style and highlighted the professional potential of such a platform. 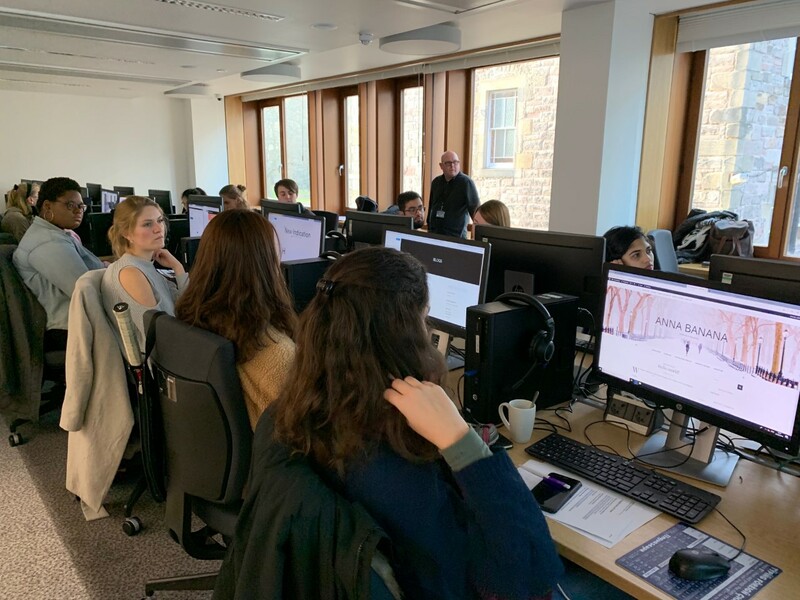 Finally, Mark Findlay swept in to describe plugins and themes while I had the delightful task of helping the students set up their domain and download WordPress. Presenting a topic that I had studied, researched and written on for 8 months to others felt extremely satisfying and somehow materialized the all extensive work we have been doing for Academic Blogging. 3hours and 35 mentions of the cake break later and our attendees had their very own blog. Some observations were made during the session. For instance, you will learn that picking a domain name, much like getting a tattoo, is not usually the sort of thing you do in 5 minutes. 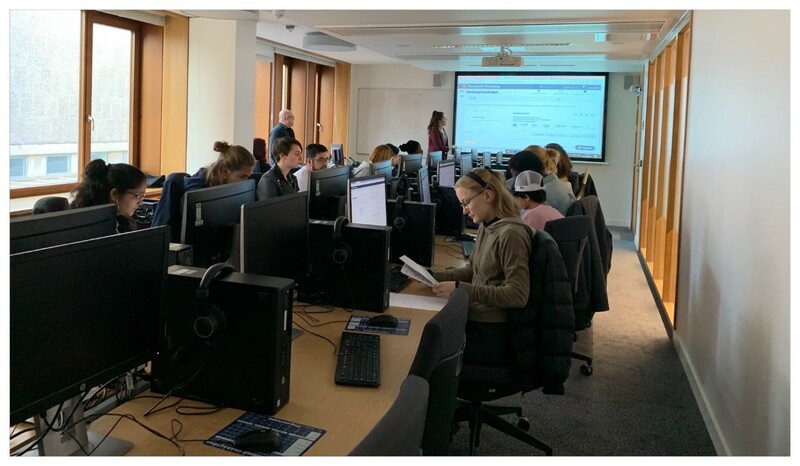 The look of panic on the students’ faces every time I tentatively offered to move on to our next section confirmed this fact. It was also fascinating to see the range of reasons for which students wanted their own WordPress. Most of them wanted a platform to express their thoughts, some wanted to showcase their professional self while others dug out potential business creating asking about monetisation. Regardless of the varying purposes behind their presence that day, the students were seeking out their own voice – something so easily hushed in a generation of fake news, overusing ‘furthermore’ for academic effect and misleading Instagram posts. Seeing a crowd of students revel in being able to express themselves elsewhere than social media or the pages of their essay not only succeeded in fulfilling the festival’s aim but also satisfied that little part of me that always wants to believe that learning something new can be enough. That’s right – in some way or another, the key to life’s fulfilment might just be 17 people huddled together in a small 50 George Square computer lab… And cake, always cake.